The 40th session of the Human Rights Council opened on the 25th of February at the Palais des Nations in Geneva. Debates during the 40th session covers a broad span of issues, including Special Rapporteur reports on terrorism and cultural rights. The council will also hear reports on the human rights situations in various countries including, the Democratic People’s Republic of Korea, the Islamic Republic of Iran, Myanmar, Eritrea and the Syrian Arab Republic. 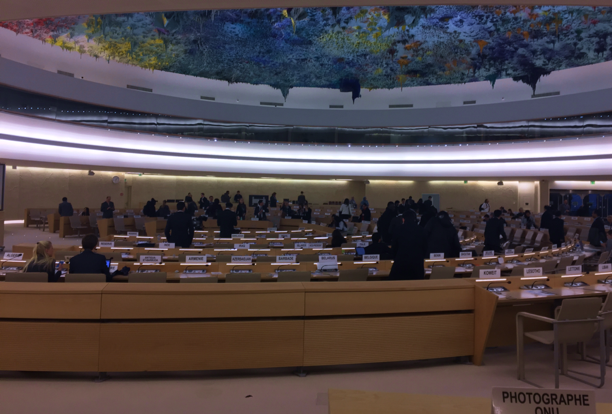 Towards the end of the session, the Human Rights Council will hear reports on Universal Periodic Review (UPR) outcomes in the States reviewed during the UPR’s 31st session last October. 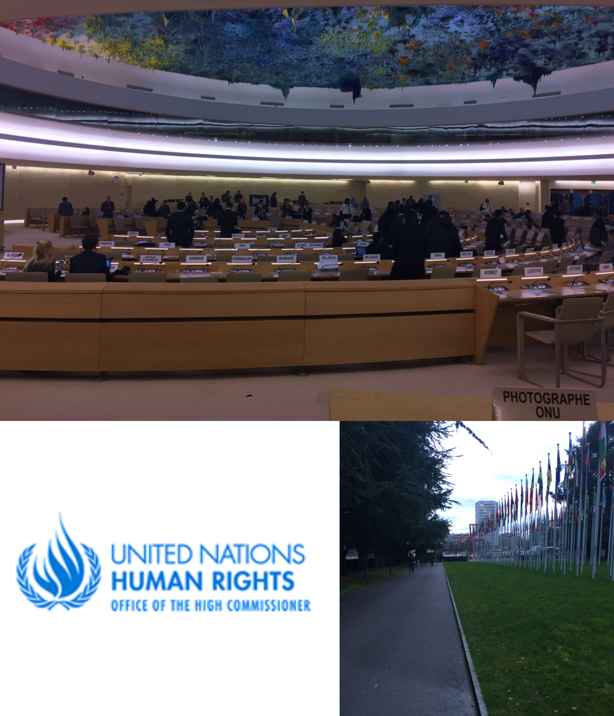 On Friday the 8th, the Human Rights Council fielded a general debate on Item 3, which encompasses a wide range of issues including, freedom of religion, disability rights and rights of minority groups. Member States primarily addressed issues of minority language rights, children affected by terrorism, targets outlined in the 2030 UN development goals, and the Intergovernmental Working Group on translational corporations’ most recent report. Several states also addressed the issue of gender in equality in light of International Women’s Day. Two CCIG members took the floor during the meeting. The Associazione Comunita Papa Giovanni XXVIII (APG23) spoke about the need for multilateralism and the consequences of a return to bilateralism. They urged the Council to promote multilateralism for the common good of the “human family.” APG23 also submitted a series of written statements on other agenda items, addressing the need to accommodate children with disabilities in integrated schools, the right of life for disabled children, and concerns about the risks for human rights defenders in Colombia. CCIG member Edmund Rice International took the floor to express concerns about India’s recent budget allocation for children. Highlighting the disparity between the fraction GDP spent on children and the fact that children account for approximately 30% of India’s population. They urged states to make children’s budget allocations transparent and available in party campaign platforms. Aside from Item 3, the Human Rights Council also debates UPR outcomes, reports made by Special Rapporteurs and conducts Interactive Discussions on a variety of issues. The Human Rights Council will reconvene for its 41st session from the 24th of June to the 12th of July. No Comments to "CCIG members present oral statements during the Human Rights Council’s 40th session"